Academy, Hopkins struck first and early, this time from Pat Knightly. On Thursday, September 15th, the JV Boys soccer team took a short bus ride over the river to face off against rival Smith Academy. In the first five minutes of the game Pat Knightly scored the first goal of the game, this was his first of the season and the first goal for the Hawks not scored by Chad Sanderson. Late in the first half, Smith Academy scored with a re-direct off a corner kick. Going into halftime the score was 1-1. About ten minutes into the second half Dominic Rodgers scored a goal to give Hopkins a 2-1 lead. Minutes later, Smith Academy came back with a goal of their own to tie the game. The game was tied for a while until Hopkins had an offensive break which resulted in another Chad Sanderson goal. After intense pressure by the Smith offense, John Jacques held strong in goal. With about ten minutes left Chad Sanderson scored another goal, his sixth of the season, to insure a Hopkins win. The final score was 4-2. On Monday, September 12th, the Gateway Boys JV came to Hopkins. In past seasons this would be a great game, and this game was no different. For much of the first half Gateway was on the offensive. However, a combination of a strong Hopkins defense and great goalkeeping by John Jacques prevented Gateway from scoring. About midway through the first half Hopkins had an offensive break, the first of the game, and resulted in a goal by Chad Sanderson. For much of the second half the ball was going back and forth with missed opportunities by both teams. With Gateway threatening late in the second half the Hopkins defense still held strong until the final whistle. Chad Sanderson’s goal in the first half would end up being the difference in this game. Hopkins won 1-0. On Tuesday September 6th, The Hopkins JV Boys took the field for the first time this season to face Holyoke Catholic. The game was off to a slow start for both teams. Late in the first half, Chad Sanderson scored two goals to give Hopkins a 2-0 lead going into the second half. Early in the second half Holyoke Catholic was on the offensive and scored two goals. The game was tied 2-2 with about ten minutes left in the game. Hopkins had a great opportunity in the form of a penalty kick. John Jacques took the kick and barely missed over the top of the goal. Minutes later, there was another penalty kick for Hopkins. Chad Sanderson took the kick and made it. This penalty kick would end up being the winning goal for Hopkins. The final score being 3-2. Hopkins Academy soccer is know for always being the team to beat. In the past years, Hopkins Academy wasn’t really a threat, but was more of just your average soccer team. Schools know about us and put us on their radar for the top teams to beat. 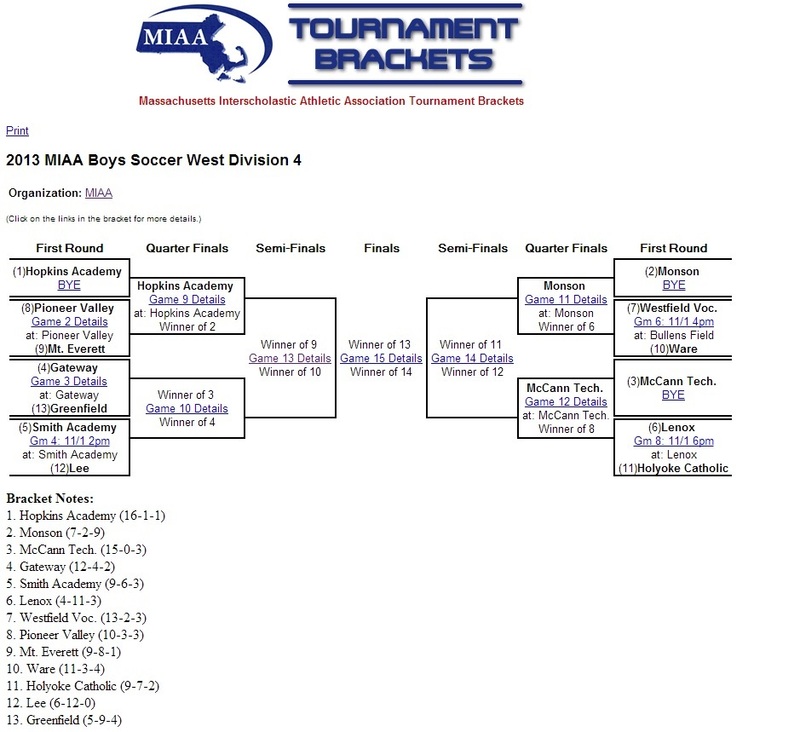 Last year Hopkins academy boys varsity soccer won the GcGrath South soccer league. Unfortunately there post season was short lived after losing to gateway in the tournament 2-0. After the graduating class left, it took 9 seniors from the varsity squad also. This gave doubt to some when the question of if Hopkins could win league again next year was brought up. Girls’ Soccer- A Rebuilding Year?